History was made on June 29 as the borough signed an agreement to purchase the Bancroft property. 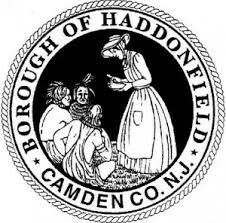 Haddonfield became the official owner of the Bancroft School property, a two-parcel, 19.2-acre piece of land, at 1 p.m. on June 29. Commissioners signed an agreement between Bancroft School and 2 Hopkins Lane, LLC, Brian O’Neill of Recovery Centers of America’s buying company, at a purchase price of $12.9 million. The price is to be split between Bancroft at $11.5 million and 2 Hopkins Lane, LLC, at $1.4 million. The agreement ended more than 10 years of uncertainty regarding the property on Kings Highway, next to Haddonfield Memorial High School. In March 2006, Bancroft confirmed it would be selling its property and moving to another location. In the time since, what would appear on the site — and who would own it — was up in the air. In March 2015, Bancroft announced it was selling the property to Recovery Centers of America, with O’Neill saying his company would operate a licensed behavioral health facility on the property, providing drug and alcohol treatment services. This sparked controversy throughout town and a call for the borough to purchase the property. Last September, the borough initiated a study to reinvestigate naming the Bancroft site as an area in need of redevelopment, which would possibly change the designation of the two parcels as R2 residential housing areas, and allow the borough to control what is placed at the property in the future. The Planning Board unanimously declared the property an area in need of redevelopment on Jan. 5, and the next week, borough commissioners signed two agreements for the purchase of the property. Under the agreement, Bancroft will continue to operate on the site until its move to a new facility in Mt. Laurel in two years. In that time, Bancroft will lease the property from the borough for $150,000 per year for the first two years, and $300,000 for each subsequent year. There is also an option for 2 Hopkins Lane, LLC to buy back 8.2 acres of the property for $5.5 million to develop age-targeted townhomes, pursuant to the borough’s redevelopment plan. If the company chooses not to buy back any acres, the borough will pay an additional $600,000. The goal of the Bancroft redevelopment plan is to expand the public open space in Haddonfield for active and passive recreation, foster the development of an age-targeted and affordable residential development, provide room for the expansion of Haddonfield Board of Education facilities, and retain the 1886 Lullworth Hall and the other preservable historic facilities on site. Within this overall redevelopment goal, the plan establishes a set of objectives based on public input conveyed over the many years during which Bancroft property redevelopment has been considered. The full redevelopment plan can be found at the borough website, www.haddonfieldnj.org.